Benjamin Caine Hollioake (11 November 1977 – 23 March 2002) was a cricketer who played for Surrey County Cricket Club and the England cricket team. Born in Australia, Hollioake moved to England as a child where he made his first-class cricketing debut for Surrey in 1996. A right-handed batsman and right-arm seam bowler, Hollioakes performances as an all-rounder saw him join his brother Adam in the 1997 England ODI team. Later that year, Adam and Ben Hollioake made their England test debut in the same game, becoming only the third set of brothers to do so. Ben Hollioake made two test appearances and earned 20 ODI caps before he was killed in a car crash in Australia at the age of 24. A graceful batsman who was capable of massive hitting, and a useful medium pacer with a knack of taking wickets, Ben joined his brother at Surrey in 1994. 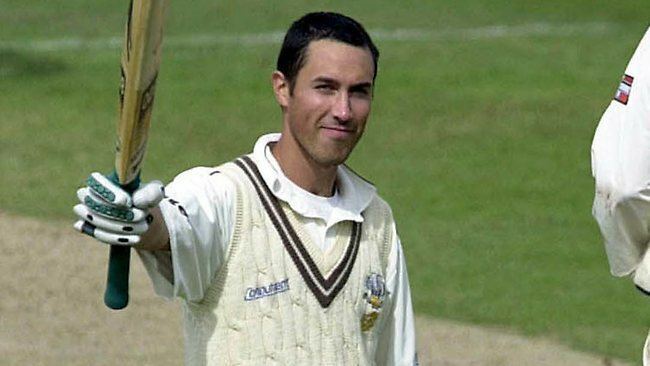 Hollioake made his first-class debut for Surrey in 1996, taking four 4–74 against Yorkshire at Acklam Park, Middlesbrough, and was awarded the NBC Denis Compton Award that same year. In May 1997, aged 19, he was called up to Englands ODI squad to play Australia. Making his debut batting at number three for the final game of the series at Lords, Hollioake struck 63 runs off 48 balls and was named Man of the Match. England won the three-match series 3–0. His performance led to the media comparing him to the great English all-rounder Ian Botham. The following July, Hollioake produced another Man of the Match performance at Lords, this time taking two wickets and scoring 98 runs from 112 deliveries as Surrey defeated Kent in the final of the Benson & Hedges Cup. England were not performing well in the 1997 Ashes series when Ben and Adam made their Test debuts together, on 7 August 1997. England was losing the six-Test series 2–1 when the Hollioake brothers were selected for the fifth Test, becoming the fifth set of brothers to play for England in the same Test and the third to make a debut together after the Grace and Hearne brothers. Aged 19 years and 269 days, Hollioake was Englands youngest Test player since Brian Close in 1949. Losing his place in the team soon after, he toured Sri Lanka that winter with the England A team, scoring two centuries. 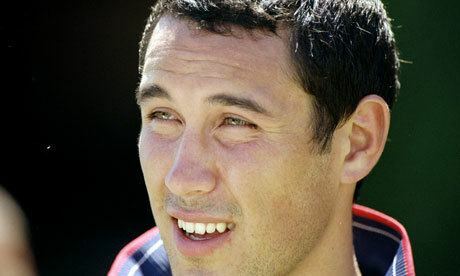 Ben played one more Test match, against Sri Lanka in 1998, scoring 14 and 0 with the bat, and bowling two for 105. The following year, Surrey awarded Hollioake his county cap, but his form began to waver and, by August 2000, he could not command a regular place in the county side that had won back-to-back county championships. After working hard on his technique during the winter break, Hollioake delivered several impressive performances for Surrey that led to his recall to the English ODI side in 2001.